I have an Owner’s Manual in my hand. It’s for my 2014 Chevrolet Cruze. Have I read the whole booklet? Of course not! So, why does GM bother? A User’s Guide is one weapon in a company’s arsenal to combat detrimental consumer dissatisfaction by supplying as much practical information as possible. You attempted to assemble, install or use a new product. Hours later your nervous network is overloaded. You’ve failed and the product appears to be damaged. 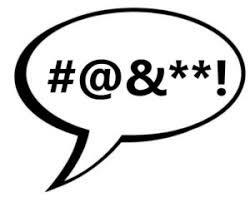 Out of frustration you unleash a few expletives! Finally, in desperation you open the product manual. A famous author wrote: “The mass of men lead lives of quiet desperation.” Don’t wait for desperation to dominate your life. Check out the User’s Guide for Living, the Bible! Start with Genesis, the first section of the Manual. Nothing less than your complete satisfaction with life is at stake!